You are like a dream that I don’t ever want to wake up from. We all have dreams every night, but all I want to dream about is you. I wish my dream will come true just this one time. I wish that you and I would be together. Dreaming about you is all I can do right now, but I hope that one day we will be together and nothing will separate us any more. My number one dream in this life is to love and be loved back. 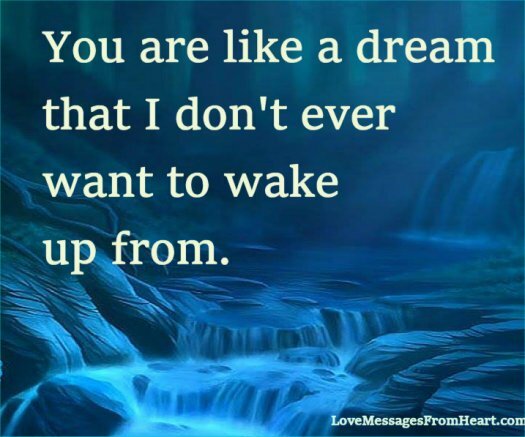 This dream is about you and I. I love you. So many times I tried to imagine what my love would look like. I stopped doing that when I met you. Now I know. You are like the most beautiful dream that anyone could have.